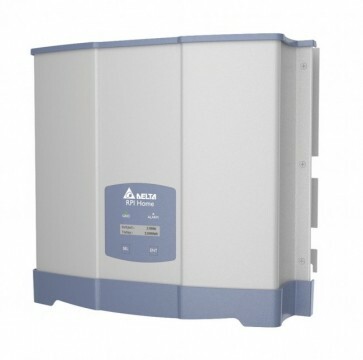 In the category of single phase PV inverter, Delta offers the RPI-Home series PV inverters with 2kW to 5kW power. These inverters with IP65 protection class are suitable for indoor/outdoor and rooftop solar systems from 2kW up installation to feed power into the low voltage network. RPI-Home series is designed with IP65 protection level and MC4 fast connector features to enhance the performance in both indoor & outdoor environment. RPI-Home series performs high efficiency up to 97.5% with single MPPT to track the sunlight giving the maximum yields to your solar system.